Its window “Tibetan dumblings & soups – sustainable food” had already attracted me weeks before its opening as dumplings and noodles are two words that make me hungry. Lhamo, a young Tibetan woman, studied political science at Brussels University. She explains me her culinary project that has a touching social purpose: providing authentic and organic food while enabling the reintegration of Tibetan women, who are former political prisoners. On the menu, I discovered new flavors: momos, Tibetan dumplings steamed and stuffed with meat, vegetables, tofu or mozzarella, and large Tibetan noodle soups. Their dough is kneaded and cut in front of us at the counter. 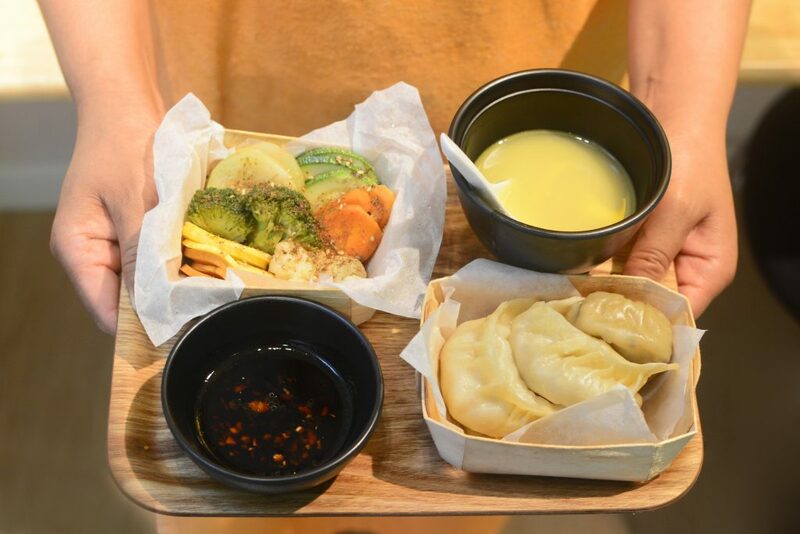 Momo offers also a delightful lunch for 10 euros: an assortment of dumplings, a small soup and a basket of organic vegetables.